WILLISTON, ND - NOVEMBER 18: 'The Promised Land'. Williston, North Dakota November 13-18th, 2012. Construction and development is going on around the clock to house the huge influx of workers. 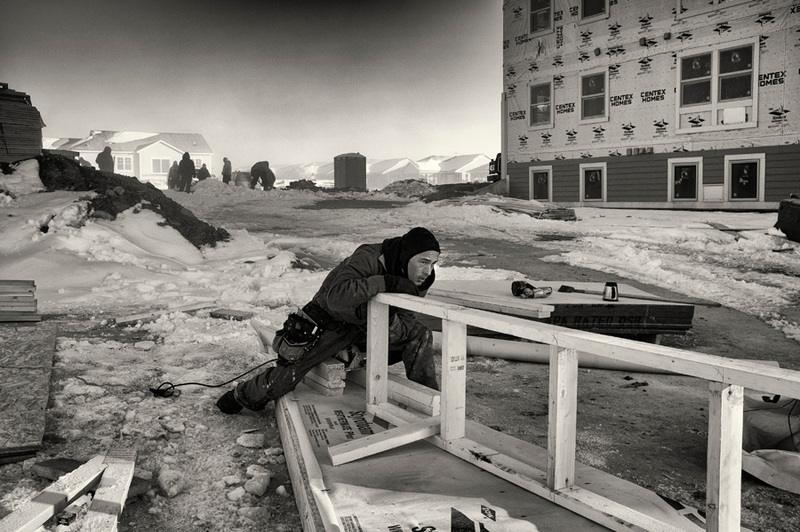 Here a construction worker operates a bulldozer in the sub zero temperatures.